At Brown&Co our staff our our most important and valued asset. Read a bit about some of our more recent team members and how they came to join Brown&Co and how they find working for the company. 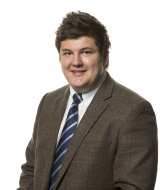 I joined Brown&Co after graduating from Harper Adams University College with a BSc (Hons) in Rural Enterprise and Land management in July 2012.
work; including farm machinery auctions, estate management, rent reviews and property sales. I have completed my APC and CAAV qualifications which were fully supported by the firm. 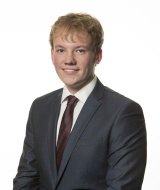 I was attracted to Brown&Co because of the wide variety of work undertaken by the firm and the opportunity to put into practice what I have learnt at university. Coming from a Lincolnshire farming family. I decided to study Agricultural firstly at Riseholme College and then at Newcastle University. After graduating with a BSc. Hons degree. I focused on the Agri-Business sector when looking for work. I was offered a graduate job at Brown&Co in the Agricultural Business Consultancy Division of the the firm, which I accepted based on how impressed I was with the range of work undertaken and the presence of the firm throughout the Eastern region. I started work with Brown&Co in June 2014 and have been involved in many agricultural business matters including general business management, SPS/BPS, stewardship issues, contract farming, budget/cash flows and labour & machinery costs. I thoroughly enjoy the work and continue to be impressed with the focus and attention which is provided to train and develop graduate employees. I feel that my knowledge and understanding of the agricultural industry has greatly improved with my time here and I look forward to continuing for many moreyears in the future. I studied at Harper Adams University in Shropshire during which time I completed my placement year with Brown&Co in Norwich. This year provided me with valuable practical experience in industry and lead to graduate employment with the firm in 2010. I was successfully supported through my APC and CAAV exams in 2011, gaining both qualifications. Since then, I have become an examiner for the CAAV and progressed my career to the role of Senior Associate. 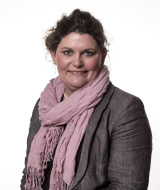 My work has been diverse, enabling me to develop skills across a broad range of disciplines. I have now began to specialise in my particular strengths and have been given the remit to shape my own career path. Since applying for the position of Trainee Commercial Surveyor in 2014, I have not looked back. I spent five years working within the retail industry prior to moving to Brown&Co and have been involved in many sectors from management, supplier and colleague development and retail construction. The diversity and variety of the work that Brown&Co offer is definately motivating. I feel lucky that the firm is sponsoring me to study for my degree so I can receive my RICS accreditation. By working full time and doing distance learning I am fortunate to work with highly skilled professionals in their field, who are always willing to go through complex course elements and offer their support and advice. Don't get me wrong, distance learning is far from easy but the emphasis the course placed on the importance of theory and strategy being applied to your own individual organisation has already paid dividends. 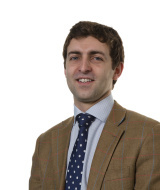 I joined Brown&Co as Assistant Land Agent in September 2013 after studying an MSc. in Rural Estate Management at the RAU in Cirencester. Before that, I graduated with a with an LLB (Hons) degree in Law and had worked in residential lettings and property management in Sussex and Surrey. Originally from Norfolk, Brown&Co appealed to me because the firm offered a vast range of different services and expertise. I am really enjoying my training and being part of a firm with such a broad range of disciplines and experience. The work is hugely varied. I have been given a good level of responsibility and there is always someone to refer to on tricky issues. The office is very sociable and we have good firm-wide events and traning days. Amongst other areas I have been involved with land and farm sales, estate management, planning and valuation. I am working toward my RICS and CAAV qualifications which are fully supported by the firm.